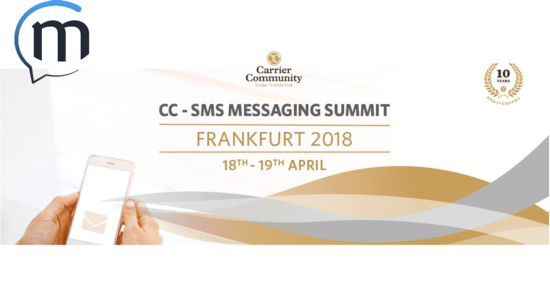 Messaggio takes part in Carrier Community Summit with various executive discussion panel sessions to address the latest industry hot topics, trends and case studies while discussing opportunities and challenges within the messaging industry. Looking forward to the 1st CC SMS Messaging Summit in Frankfurt. Carrier Community is an exclusive global telecom club and industry networking platform for wholesale telecom service providers. It was founded as a central and transparent platform to enhance business opportunities across various sectors, such as Voice, Data, SMS, Mobile, Datacenters, VAS, MVNO, ISP, Cable Subsea, Telehouse and others. The aim of our telecom club is to offer a meeting place where members can share ideas, strategies, contacts and business information. Since the establishment of our platform we achieved to qualify more than 8,000 members, representing more than 2300 Operators from more than 120 countries. Our members occupy C-Level, VP, Director and Manager positions incumbent in leading, mobile, alternative and small operators. While the industry goes through major changes, new technologies – disruptive or not – are contributing to its even faster development. In addition we strongly believe that interconnection and new supply need more transparency and a mutual, sinergic approach to grant a healthy future for all members. Consequently this portal is unique due to its focus on a specific user group. Besides, its independence from vendors and transparency make it a truly neutral and effective networking platform.